Buy Rice Bran Oil Mill Machine/Rice Bran Oil Mill Machinery/Rice Bran Oil Mill Equipment - Shandong Microwave Machinery Co.,Ltd. 2.Shandong Microwave Machinery Co.,Ltd.Independent research and development of large air shaft without hoop equipment, overtuns the traditional process, make Rice Bran Oil Mill Machine/Rice Bran Oil Mill Machinery/Rice Bran Oil Mill Equipment more stable and reduce the cost maintenance time of Palm Fruit Processing Lineusers. 3. Add Rice Bran Oil Mill Machine/Rice Bran Oil Mill Machinery/Rice Bran Oil Mill Equipmentnon-stop refueling system, automatic system for the butter, air cooling system, high efficiency, low energy consumption, smooth operation, the Palm Fruit Processing Line quality is stable and reliable. 4. Shandong Microwave Machinery Co.,Ltd. product with high automation which can save labor, and Rice Bran Oil Mill Machine/Rice Bran Oil Mill Machinery/Rice Bran Oil Mill Equipment is also easy to maintain which save lots of maintance time. Refining pot: also named Dephosphorization and deacidification tank,under 60-70℃,it occurs acid-base neutralization reaction with sodium hydroxide ,After stirring by reduction box,it can decrease the acid value in oil and separate the impurity ,phospholipid which will enter into soap stock..The oil can be refined further. It uses USU 304 stainless steel plate, under the vacuum condition of vacuum and high temperature (220-240℃), The deodorization system can remove fatty acid and other rare delicacy high efficiently .make Meanwhile, the pot has the advantage of lowering steam consuming and avoid of the hydrolyzation of oil. 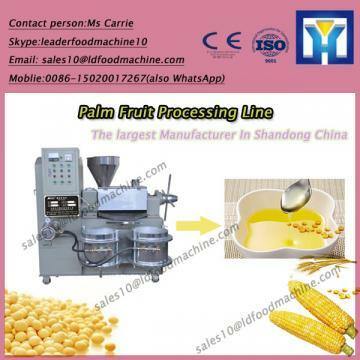 Shandong Microwave Machinery Co.,Ltd.is a Palm Fruit Processing Line factory specializing in the production of Rice Bran Oil Mill Machine/Rice Bran Oil Mill Machinery/Rice Bran Oil Mill Equipment, scientific research,manufacturing,installation, commissioning.Shandong Microwave Machinery Co.,Ltd.can provide Palm Fruit Processing Linecustomers with design and services of 1-2000 tons Rice Bran Oil Mill Machine/Rice Bran Oil Mill Machinery/Rice Bran Oil Mill Equipment. Shandong Microwave Machinery Co.,Ltd. have finished hundreds of successful projects Palm Fruit Processing Lineover the years: peanut oil, soybean oil, rapeseed oil, cottonseed oil, sunflower oil, seCARRIEe oil, animal oil,grape seed oil, acer truncatum oil, peony seed oil, walnut oil, hemp seed oil, pine oil, tea seed oil, papaya oil, milk thistle seed, and other special type Palm Fruit Processing Lineoil. Shandong Microwave Machinery Co.,Ltd. have independent import and export department. Shandong Microwave Machinery Co.,Ltd. Palm Fruit Processing Lineequipment has been successfully exported to more than ten countries: Russia, Australia, India, Afghanistan, Cameroon,and so on.